RUNNING a stud and commercial crossbreeding operation side-by-side affords Courtney Hazeldene an insight into what clients demand from her calm natured Murray Greys. 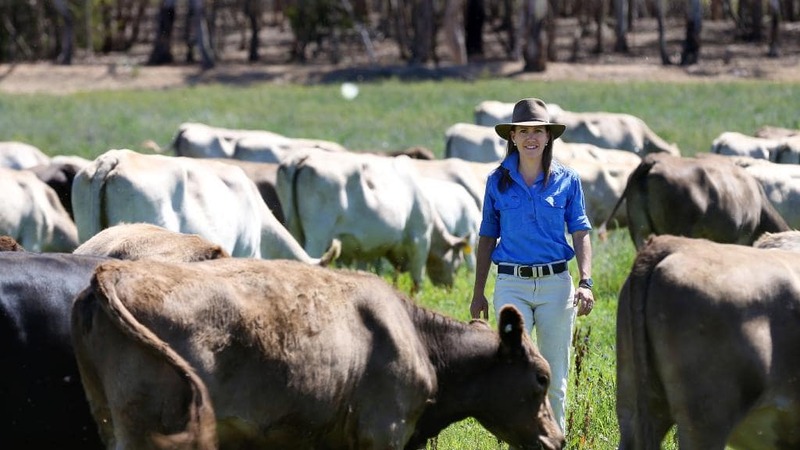 Across the two operations Ms Hazeldene runs 500 commercial and 150 stud Murray Grey cattle, on 1400 hectares of land around Newbridge, Laanecoorie, Lockwood and Marong. 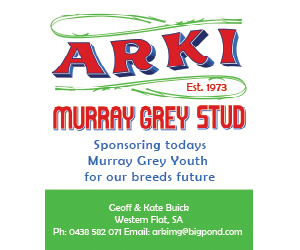 It all started when she wanted a break after finishing university, and years later her initial plan to become a jillaroo has resulted in her running her Ganado Murray Grey stud and commercial operation. She graduated with a Bachelor of Business, majoring in human resources and economics, before investigating the life of a jillaroo. “I got some experience with a local stud and fell in love with the cattle,” she said. Ms Hazeldene said she fell in love with the temperament of Murray Grey cattle, and likes that they are easy to work with. 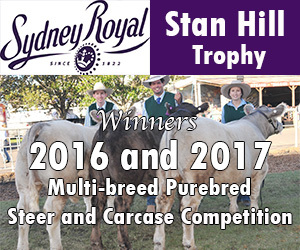 Having started the stud in 2006, Ms Hazeldene’s supreme exhibit win at the Royal Melbourne Show in 2017 was perhaps one of the bigger highlights of her involvement with the breed. 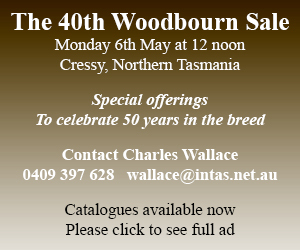 The stud runs alongside a commercial crossbreeding operation, which is a joint venture between Ms Hazeldene and family members. Using land around the family’s chicken farm, they turn off cattle to the Bendigo markets most weeks, although the past two weeks have been an exception due to depressed prices. “We’d rather hold on to them until the price increases. 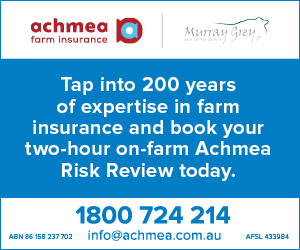 Weaners from NSW are flooding the market, so the best vealer in the market now is making just 300c/kg so we’d rather hold on to them until the buyers are ready to pay the money that they are worth,” she said. As well as selling through the Bendigo saleyards, Ms Hazeldene also sells direct to Hardwicks at Kyneton at times, and has had contracts with butchers in Bendigo and Laverton. Cattle are usually turned off weighing between 380kg and 420kg. Many of her stud animal sales so far have been to hobby farms and people starting out in the breed. In selecting cattle, Ms Hazeldene considers Estimated Breeding Values, but says they “aren’t the be-all and end-all”. “I use them as a guide, because I think that’s what they are. “I look at birthweight when I’m buying bulls, but the main thing I look for is structure — they must have good feet and legs. She said good temperament was also important. 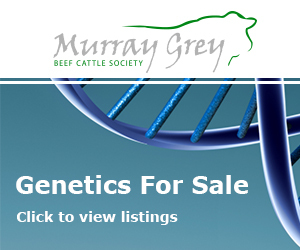 The commercial crossbreeding operation affords Ms Hazeldene an insight into other breeds, and she said Murray Greys have a “better, more even temperament”. Females are joined all year round, allowing the near-constant turn-off. Calving usually occurs for nine months of the year, however she was working on reducing this to a more manageable level. The stud’s elite females are joined by artificial insemination, but mostly bulls were purchased from other studs for natural joining. 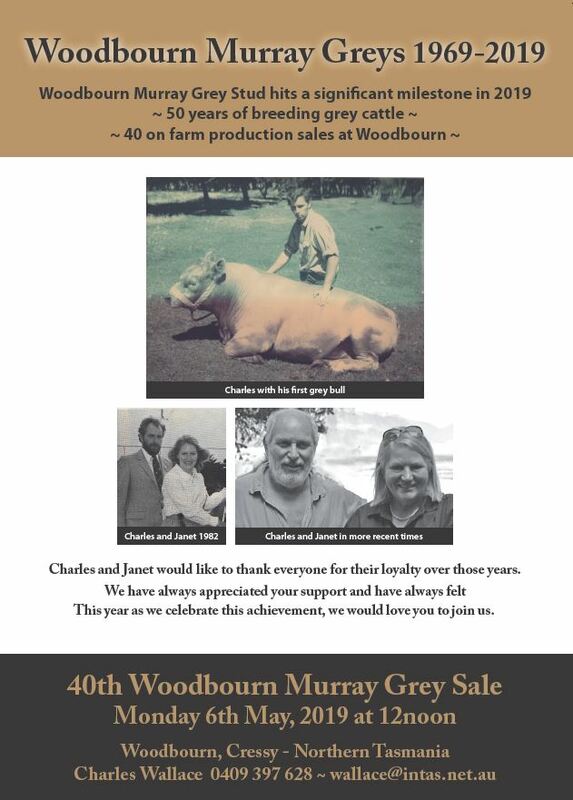 Now one of the biggest Murray Grey breeders in the region, Ms Hazeldene’s stud was founded from Rockyleigh and Wattledene genetics, and her later acquisition of the Greaju Park stud brought Cam Grove and Glenliam Farm genetics into the mix. She is now preparing for her first open day, to be held on February 1, where she will have cattle for sale in what is another step towards eventually holding an on-property bull sale.